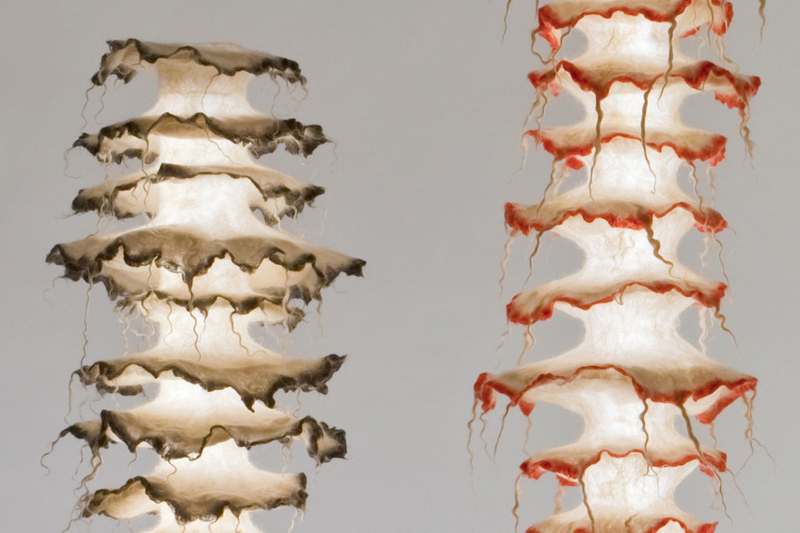 that which lives within nature’s bodies of water mimicking such creatures as urchins, jellyfish, coral, underwater plant life … Her ‘apaya taltal’ lamp combines ancient wool-felting techniques with modern lighting technology. ‘Bench’ is a long construction of handmade upholstery completed in nuno felting (nuno means cloth in japanese). 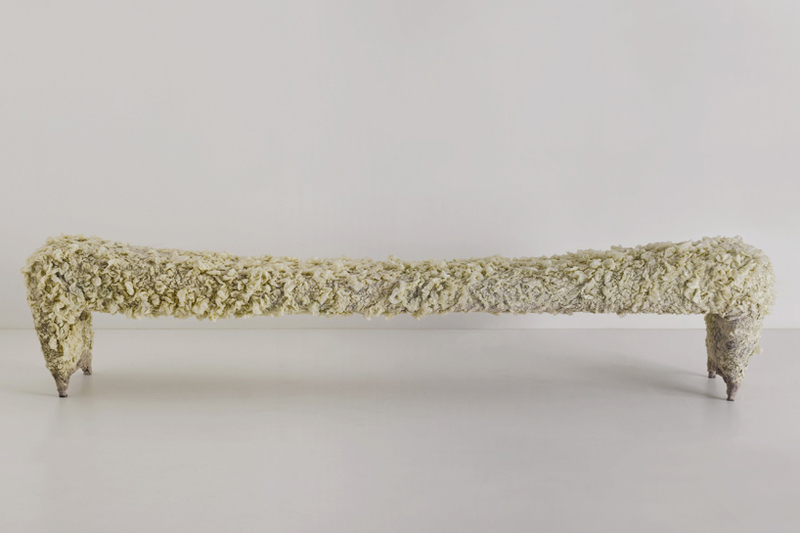 Covering the entire seating object, the material has been developed in collaboration with felt artist irit dulman.